Kids activities, food, games, raffles!!! 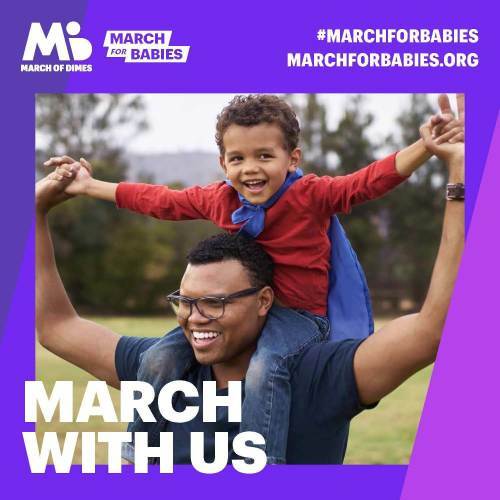 When you join March for Babies you stand with thousands of people across the country who share your commitment to building a brighter future for us all. You raise money to expand programs and educate medical professionals to make sure that moms and babies get the best possible care. You advocate for policies that prioritize their health. You fund research to find solutions to the biggest health threats. And you support moms through every stage of the pregnancy journey, even when everything doesn't go according to plan.